Now that you understand why you should run Facebook ads to promote your ecommerce store, and you have some ideas on where to start, you need the tools to make it all happen. Facebook and product integration platform. A way to manage your store and a solid Facebook ads reporting tool. We’ll cover all that and more in this chapter. By the time you’re finished reading, you’ll know the exact resources you need to gather to get your next Facebook ad campaign sending traffic to your ecommerce store. You can build your ads in Facebook’s Power Editor, but that can be complicated, especially if you’re doing a lot of testing and you have several variations. 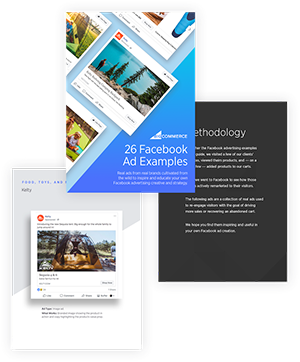 There are several excellent Facebook ad building tools out there that will help you build, test and even schedule your ads. Canva is a general image builder, but it does have Facebook ad templates as part of its system. You can create multiple variations of your images to test. Canva also includes a large image library (some of which are free, some of which there is a charge for) so you can grab a compelling image for your ad. This is one of the leading Facebook ad creation platforms out there. AdEspresso also integrates with several other platforms like MailChimp, AdWords, and more. Qwaya is similar to the other two, in that it lets you easily create multiple ad variations. It also lets you schedule delivery of your ads and provides analytics tools. Qwaya includes an ad rotation tool, so you have more control over your split tests. It also lets you set up rules to control your ad spend. If your Facebook ad building tool doesn’t come with stock images, or if you can’t find the right one, there are dozens of sites out there that can help. Some images are free, some will require a licensing fee to use them, but it’s usually a one-time fee and you can use the image as many times as you want. If you use images from a free site, make sure they are released under the Creative Commons CC0 license. That way you won’t have angry photographers coming after you for copyright infringement. This site offers thousands of free images. They have everything from photos and videos to illustrations and vector graphics. Everything is sorted by keyword and category. You can log into the site or you can just download an image after you’ve proved you’re a human, not a bot. This site is photography only. That said, there are some excellent images here, depending on what you’re looking for. All images are free and are sorted by category and keyword as well. You can download your image in a specific size or get the full-sized image. This is a paid platform offering royalty-free images, videos, vectors, illustrations, and music. It also includes a web-based editing platform. Everything is sorted by category and keyword. There are various paid plans, depending on how many images you use. If you sign up for their newsletter, you get free images every week. The most obvious tool you’ll need is an ecommerce platform. You get a complete system, from inventory management to product pages to checkout, all in one place. Ecommerce platforms are designed to make getting your business up and running easier. We recommend using BigCommerce as your platform. BigCommerce is specifically set up to work well with Facebook out of the box making it easy to install the Facebook pixel across your entire ecommerce site. Use Facebook Shop on your pages to integrate directly with your BigCommerce account to make it easier to sell your products directly from Facebook – and Instagram. Your customers can check out directly on your Facebook page using BigCommerce Facebook Checkout (U.S. based merchants only). You can track conversions in BigCommerce’s Control Panel so you can grow your audiences, as well as retarget website visitors. There is even a Facebook ads extension that lets you create ads from your store catalog. You can target new audiences and current customers to increase sales and expand your reach. Once you’re running Facebook ads, you’ll want to know whether they’re effective and which ads are performing the best. 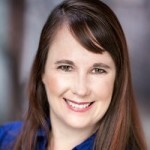 You can get a lot of insightful and actionable information from your Facebook Ads Manager. In your Account Overview within Ads Manager, you can see how your ad account is performing and pull valuable insights for optimization and future campaigns. This Overview section provides a holistic view of you account’s performance and offers several ways to dive into your data to learn about your audience. Campaign KPI trends. In this section you can analyze trends and performance over time. The charts are interactive and customizable with 4 metric sections you can adjust based on your data needs. Table view of your campaigns, grouped by objective. If you’re running campaigns with different objectives, you can analyze how these campaigns perform at a grouped level. This view includes the following metric: results, cost per results, reach and amount spent. Demographic & Geographic Sections. These tabs include information about people interacting with your ads, including their age, gender, time of the day they viewed your ads, and the geographic coverage of your campaigns. Summarized account reporting is the final section of the overview section that allows you to review performance data at the account level. You can use pre-built reporting templates, or create a custom one. The Account Overview tab also includes a Creative Reporting section, which shows you results on all creatives that you’re running. Each line in the reporting is representing one creative unit. If you’re using the same creative unit across multiple campaigns or ad sets, then you can see results on creative across campaigns, ad sets or ads. For every campaign, ad set or ad you run on Facebook, you can view key insights on how each element performs. Number of people who took the desired action, based on your campaign’s objective. You can navigate to these insights by selecting a specific campaign, ad set or ad and clicking the charts icon on the right hand side pane. Alternatively, there is a “View Charts” button under the name of each campaign element. Facebook’s Ads Manager provides various reporting customization & filtering tools, that allows you to create reporting templates for your specific use cases. Date Range & Comparison Periods. You can set your reporting date ranges in the top right corner of ads manager. There are multiple preset options, and you have the flexibility to select custom ranges. You can use search and filters to find specific campaigns, ad sets or ads and customize the results that you see in ads manager. You can choose from preset filters or create your own custom filter – make sure you save your custom filters. Delivery Status for campaigns, ad sets, ads. Metrics for campaigns, ad sets, ads. Audience Age, delivery changes, gender, location. Recent changes in campaigns, ad sets or ads. You can create filters for different campaign types (e.g. Prospecting and Retargeting), if your campaign’s naming convention includes common elements. Facebook Ad Manager‘s reporting includes 12 preset reporting option, that you can find in the column section on the top right. If you prefer to customize your report, you can create a custom reporting view by clicking “Customize Columns” in the columns dropdown menu. Then, by using the search box or browsing through metrics options, you can select your preferred metrics, and drag and drop these metrics to be displayed in a specific order. Performance: Metrics here include results, reach, frequency and impressions. Engagement: This includes metric categories like page post, messaging, media, clicks, and awareness. Conversions: Key metrics here are website conversions, website purchases, cost per website conversion, mobile app installs and mobile app purchases. Settings: These metrics are start date, end date, ad set name, ad ID, delivery, bid and objective. Don’t Forget to Save your Custom Report View. You can save the reporting view by selecting “save” option next to the “Custom” report name that you’ve created in the column’s dropdown. You can also set any reporting view as a default by selecting “set as default”. Ad Manager also offers campaign breakdowns that allow you to see reporting breakdowns by time, delivery and action. You can apply multiple breakdown criteria to your reporting view; however, this data would be easier to analyze in an Excel pivot table. Export, Share & Custom Reporting Functions. Facebook Ads Manager allows you to export your data in a CSV, Microsoft Excel file (.xlsx) or by sharing a link to that data with people in your ad account. Visual charts can’t be exported thought but can be recreated using Excel. You can create a Custom Report based on your reporting selections in ads Manager – click “Export – Create a Custom Report” and Facebook will take you into the Facebook Ads Reporting section. Here, you can customize the report using the same tools as in Ads Manager, or save this report as is. You can also schedule this report to be delivered to you and other recipients on a regular basis. This option will appear when saving the report. Recipients of the report must have access to the ad account. The tool allows you to create reporting templates, reports, and update them from Excel, removing the need to export data directly from Facebook on a regular basis. All Ads Manager functions, such as custom reporting columns, breakdowns, and filters are available in this tool. In order to use this add-on, you will need to link it to your Ads Manager (the add-on will prompt you to establish this connection). Users who are not connected cannot refresh the report. You now have a solid foundation to start implementing your own Facebook advertising campaigns. Set up your account and the 3 key customer stages. Effective ways to target your audiences and track your ads’ performance. Create a Facebook advertising budget and where to use it. Use additional tools to make your campaigns perform to their best. There is a lot in this guide, so bookmark it and come back to it as needed while you start adding/updating these strategies to your marketing efforts.